The United States ambassador said Monday his government would be “disappointed” if Colombia’s war crimes tribunal bars the extradition of a FARC leader wanted in the US on drug trafficking charges. Ambassador Kevin Whitaker told Caracol Radio that the prevalence of evidence against former FARC leader “Jesus Santrich” in his alleged responsibility were quite clear. The extradition of Santrich would be an added benefit to both countries, he said. 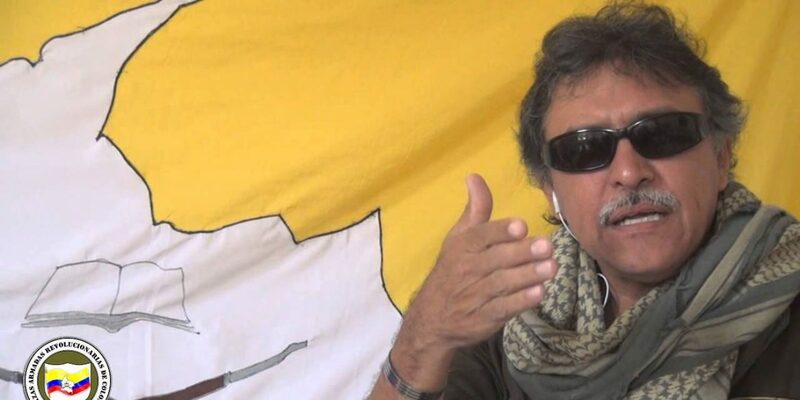 The FARC has continued to deny the allegations, claiming that Santrich was being “framed.” Colombia’s war crimes tribunal is currently considering whether the FARC leader should be excluded from the peace process. Under the 2016 peace deal, former FARC guerrillas and leaders were shielded from extradition in drug trafficking crimes committed during the conflict. But crimes allegedly committed after the peace deal would not fall under the transitional justice system. Santrich was arrested in April last year when the US’ Drug Enforcement Administration accused him of planning to export 10 tons of cocaine to the United States. His alleged participation took place several months after the peace agreement. The case prompted criticism regarding the viability of the evidence presented against the former FARC ideologue and a major crisis in Colombia’s peace process. Colombia’s Prosecutor General released audio and images that showed an exchange of conversations involving an alleged drug deal with a lawyer and nephew of former FARC leader Ivan Marquez. The recording proved that the lawyer had communicated with Santrich’s assistant regarding the deal. The war justice tribunal last week said that they would give U.S. authorities until March 7 to provide evidence against Santrich involving the drug charges after the Colombian government’s initial request got lost in the mail.